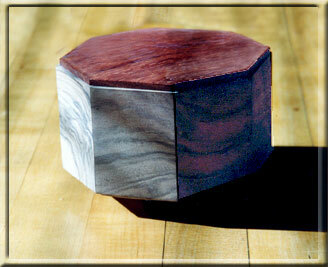 This octagonal urn is made of French walnut with a vermillion top. It rests on feet of ebony. The size is 5" across x 2.75" tall. Larger sizes are also available.